The 2017 League of Legends World Championship begins on September 23, 2017 – just over one month from today. With the introduction of the Play-In Stage, more teams from more regions than ever will compete. Read on for an explanation of regional seeding, how teams qualify, and when to tune in for the Summer (Split 2) Playoffs and Regional Qualifiers. A region’s seeds are based on past international performance. Consistently strong regions send some or all of their seeds straight to the Group Stage, whereas other regions receive fewer seeds and start in the Play-In Stage. For Korea’s League of Legends Champions Korea (LCK), three seeds are sent to the Group Stage. Based on the performance of Southeast Asia’s Garena Premier League (GPL) at the 2017 Mid-Season Invitational, they received an additional seed. One seed is sent to the Group Stage and the second seed is sent to the Play-In Stage. When are Summer (Split 2) Playoffs in each region? 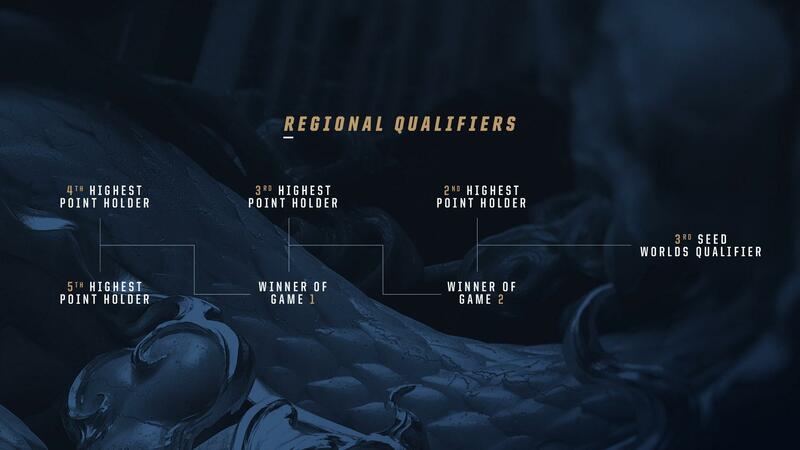 What are the Regional Qualifiers? 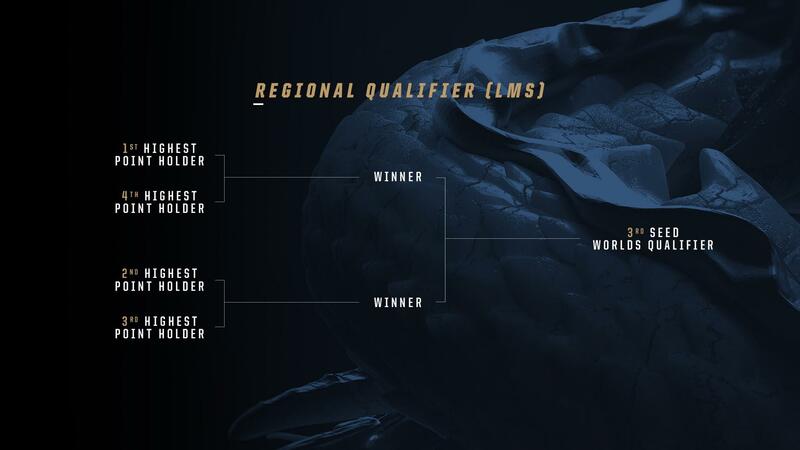 The LCK, LPL, EU LCS, NA LCS, and LMS all hold Regional Qualifiers after Summer Playoffs to determine which team from their region will secure the 3rd seed at Worlds. Teams are ranked within the Regional Qualifiers based on their final Championship Points standings. Teams earn Championship Points based on where they finish in both the Spring and Summer Split Playoffs. Most regions play out their Regional Qualifiers in a gauntlet format. Every match in the tournament is a Best of 5, and the four competing teams are seeded into a single elimination gauntlet-style bracket based on the amount of Championship Points they've earned. In a gauntlet, teams with fewer points have to play more matches. They must defeat all of the higher seeds in order to qualify, whereas teams that finished with more Championship Points have a relatively easier road. In the LMS, Regional Qualifiers are played in a bracket format. After two initial matches between the 1st/4th and 2nd/3rd highest point holders, the winners of each duke it out in a final match. Where can I watch the Regional Qualifiers? The Regional Qualifiers take place on different dates in each region. Every qualifier will be available to watch on lolesports. For exact times, check your league’s schedule page.